Have you lost a loved one due to wrongful death in Miami Gardens and you want to seek justice? Here at the Gerson & Schwartz, we know how hard it is when you lose someone dear to you due to someone else's carelessness. It makes you angry, wondering how it could happen to you. Well, sometimes life strikes in unexpected ways. People are at the wrong place at the wrong time and that's enough to impact the life of the whole family over time. You can't turn back time and change it, but you can get justice by seeking for your rights to be compensated for your harms, damages and losses. To begin with, you will need to prove that some other person or company was responsible for the death-causing accident. But do you know how to prove that? Don't rush to think that you can do it yourself, because it won't be easy. It is not a simple task to gather all the necessary evidence. You can anticipate that the at-fault parties will resist and defend. That's why you should call a lawyer with experience in all types of wrongful death claims. Our Miami Gardens wrongful death lawyers have 40 plus years of experience in helping the survivors of those killed by accident or on purpose. Our wrongful death and injury team are available for free consultations at (305) 371-6000. We handle cases on a contingency basis, which means that you won't pay anything unless we recover for you and your loved ones. What Damages Can You Recover for a Miami Gardens Wrongful Death Claim? You may recover for some or all these damages, depending on the circumstances of your specific case. 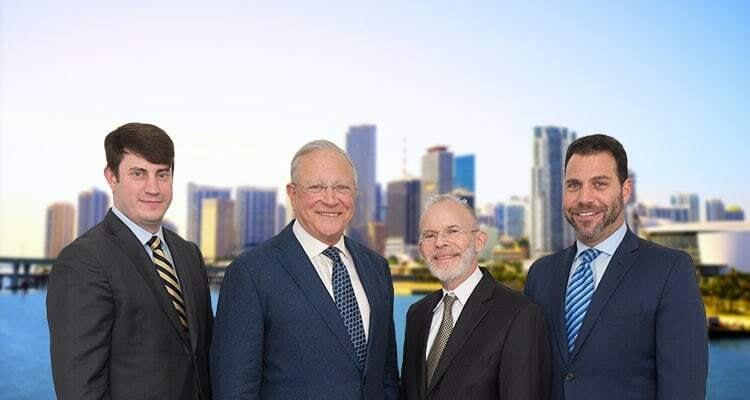 In your free consultation, our Miami Gardens wrongful death attorneys can answer your questions about the types of compensation that may be available. We have more than four decades of experience of helping injury victims and surviving family members of those lost in serious accidents and/or incidents. Call our Miami Gardens wrongful death lawyers now for a confidential and free consultation at (305) 371-6000. You pay fees only when we recover for you.